We have seen a spike recently in a new phishing scam that has proven to be quite effective. 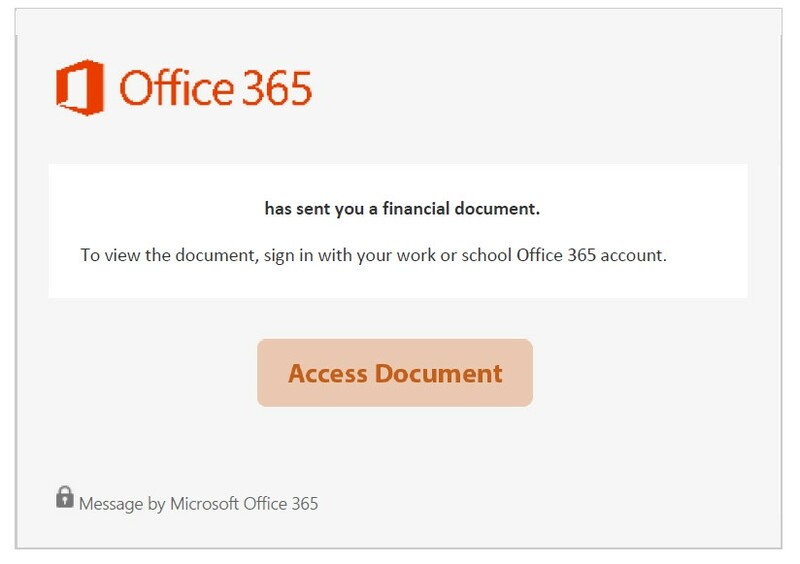 The primary goal of this phishing scam is to secure your Office365 user name and password then email everyone in your address book looking to gain the same information from them. The goal is access as many accounts as possible with the end goal of harvesting any sensitive information that may be in these email accounts. You are prompted to enter your Office365 user name and password and nothing happens. At this point in time the phishing expedition has been successful. You have given them your user name and password. Create a rule that deletes any incoming emails so you never hear from any of your contacts when they question whether the email you just sent is legitimate. Most malware is delivered via links and attachments in emails. If you receive an unexpected email containing a link or attachment reach out to the sender via phone or text to verify its authenticity. Do not reply to the email as the hackers have control of the senders email account and they will reply saying “yes it is legitimate please open”. If you believe you have been compromised you must log into your Office365 account and change your password as well as turn off any fowarding rules they may have created. If you need assistance reach out to your help desk. If you have any doubts about any email whatsoever delete it or call your help desk.